Kari was born on the mainland and raised in Nanaimo. Her dental career started out as a Certified Dental Assistant before pursuing her goals of becoming a Registered Dental Hygienist. 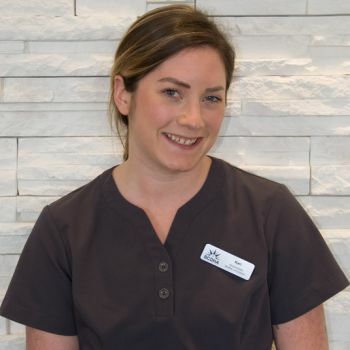 She graduated from her Dental Assisting program at Vancouver Island University (VIU) in 2011 and then went back to VIU to complete her Dental Hygiene program in 2016. When Kari is not working, she is off camping, hiking, or hanging out with her two dogs Kodiak and Nova.